Miniature Arachnid [ST3MArach] - $0.00 : Hollywood History Online, Discover the Magic and Bring Hollywood Home! 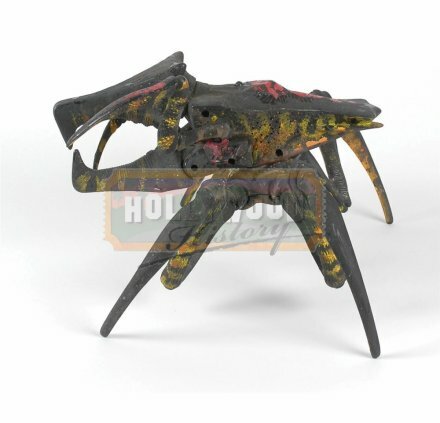 Miniature Arachnid bug model from the production of Starship Troopers 3. Black composite four-legged bug, with red and yellow painted highlights, measures 10.5? long and stands approximately 9.5? high, with adjustable legs and lower jaw. Model also features a built-in speaker to the left side of body, an activation button on the top, and a small battery compartment underneath. 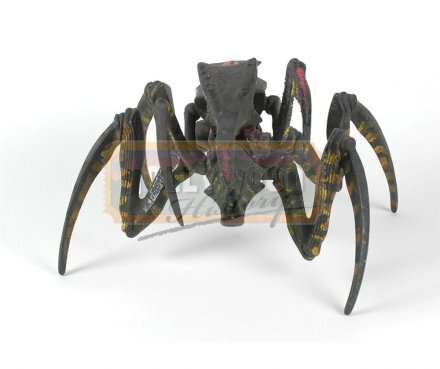 This Arachnid, and others like it, were used for CGI scans, stand-ins, and for anything on screen. 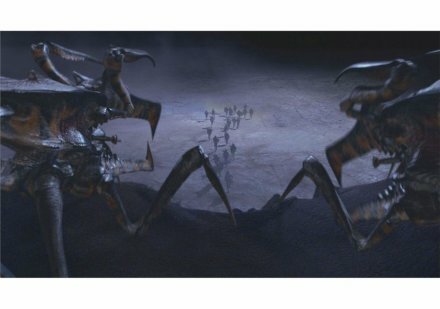 The production actually took miniature toy model Arachnids and repainted/repurposed them to be used for filming. Expected wear, scattered paint loss, and a bit of light flaking to paint, otherwise fine condition.